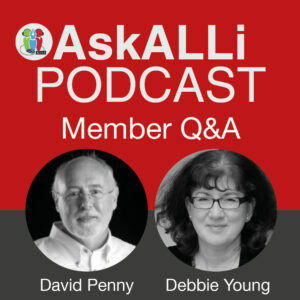 Each month David Penny and Debbie Young are in the indie author hot seat to answer the most pressing questions from our ALLi Members. Between them they have a wealth of self-publishing experience to share, and both love nothing more than sharing their advice and experience with other indie authors just like you, so that you are prepared and ready to travel along the self-publishing path to success. Even though only members can submit questions, the broadcast is accessible to everyone to learn from. Join us each month to listen to the podcast, watch the broadcast recording, or read the full transcript. Q: Should you use British English or American English? Q: Should a new version become a new book? Q: Can you gain the same visibility for a book on Amazon if you sell it directly? Q: What are some easy book publishing alternatives? Q: How can you check the reputation of a self-publishing service? Q: Is it best to use IngramSpark together with CreateSpace for print? Q: How can I make it seem like I’m a publishing company with a catalogue of books? Q: What’s the industry standard for rights and royalties and what reimbursement arrangement should I use with my illustrator? Q: Where can I get a foreign rights contract template? Debbie: We’ve had lots of questions in this month, and we’re going to pack as many answers in as we can. We’ve bundled them together this time, into broad topics, to try and get through as much as we can in the time available. We’re going to kick off with talking about writing, which is of course where it all begins. The first one is an interesting question from Rosemary Ellen Guiley, she runs an independent publishing house with worldwide distribution, based in the United States. Her question concerns which version of English she should use because until now, she’s had all American authors on her list and she’s about to publish her first English, British English, author and she doesn’t know whether she should use American spellings or British spellings or even whether to issue separate editions in the two countries. What do you reckon David? David: It’s a difficult one. Traditional publishers will generally put different versions out in the UK and in America. And sometimes all they do is change double quotes to single quotes and in words like italicize, they put a z instead of an s and so on. You can do that, but in general I think if you have an English author who has written in British English that will be left in British English throughout the whole of the world rather than change it. The trouble with just changing the spellings is that there are other cultural issues like, in the UK, they use the word supermarkets, in America supermarkets are called markets and they use highways rather than A-roads and the one I like is curb and sidewalk instead of pavement. If you say pavement in America it means the tarmac on top of the road. So, there are loads of things you have to be very careful about if you start changing it. Debbie: You only have to get one word wrong to break the spell as well, don’t you? I was reading a book written by an American, supposedly in British English, the other day. And they talked about a bunch of stuff, which we don’t say in British English and it just gives the game away, it’s reads like poor translation. David: Yeah, yeah, it does. Some people say I get a lot of comments, that are complaints, that my book is not structurally sound and that they tend to be written by US readers who don’t realize it’s written in British English and people get a bit worried that they’re not really meeting the market. Basically, I write in British English, I just ignore it. Debbie: So, then our advice to Rosemary is to go with the author’s native tongue really, whether that’s British English or American English or Canadian English, or whatever and to be consistent within that book. Debbie: If trying to publish separate issues is too much hassle and harder. David: Publishing English worldwide using the same document. Debbie: Now we’ve got a question from Paul who published a non-fiction book two years ago. He’s got a great review of it that he would really like to keep but he’s been changing and improving and redrafting the book in the intervening two years and he wonders whether it’s worth issuing the revised edition. He says, “would it be better to be new, will it make it more appealing to be new, will just being new make it more appealing to the audience, what do you think”? David: Yeah, you know I have my tough love philosophy don’t you Debbie but, he’s asking for two competing things here. He’s got a great review that he wants to keep but he wants to generate a new book because he thinks it will gain more interest. I don’t think he can do both. I don’t think he needs to generate a new book, if it has languished for a couple of years and he’s a bit concerned about the way it’s going. He needs to look at getting his name out there, going on blog tours, doing some low level marketing to see if that will make a difference to his sales figures, which presumably is what he’s talking about. You don’t need to have a book that is current. I mean, my first book was published in 2015 and made negligible sales until the last 18 months. And I don’t think it’s new, I think it’s simply knowing how to make the most of what you’ve already got there. Debbie: And I think, also if it’s two years and he’s got the one book, well, he should be thinking about writing the next book anyway, unless he’s going to be a one book wonder. If, at the same time though, he has found so many things he could improve in the book that he thinks the new, second edition would be much better, then it’s probably worth going for the new edition, if you can link a new edition, a revised edition with the original edition on Amazon so, you could keep the review if it hasn’t changed. I think if you don’t change more than about 20%, you’re allowed to call it the same book and keep the same ISBN and so forth. David: Yes, I’d agree on that, I’d agree on that. David: Ok, we’ve got, we’re moving on from writing now to publishing. This is very logical Debbie, thank you for this. Alla Ben wants to know whether it’s possible to gain the same visibility for a book on Amazon if she sells it directly herself rather than by publishing via Amazon self-publishing services. She’d like her customers to pay her directly rather than using a third party that prints the book and pays for royalties and if she did that would she have to register as a business in every country in which she trades? I think the answer is she probably would have to register in every country in which she trades and I don’t know what your opinion on this is Debbie, but I would say the 30% that Amazon are going to take of my royalties is way great value to have. Amazon are the biggest book shop in the world, and it’s where everybody goes to view books and to search for books and to buy books. Trying to compete against that by publishing and selling through your own website is a real uphill struggle and my answer to this is, just pay, let Amazon have their 30% and let your book be up on the biggest book shop that exists because that’s where people are going to go to buy it. Debbie: I think, selling your book on Amazon, publishing it through Amazon services and yes, there are lots of other services available which we also recommend you use, but publishing through Amazon, you get such value out of the amount that they take from you. And for anyone who has tried doing both, anyone who’s ever tried to sell their own book on their own website, A, I should sell and make very little sales, but B, will create for themselves an enormous amount of administrative work. So, every time there’s an order, you’ve got to pack up the parcel, take it to the post office, pay the postage, keep all the records, sell the invoice, take the money. There’s so much involved that Amazon just takes all that pain away from you. I understand why people ask this question because a lot of people feel uncomfortable with dealing with such a big company and they have political reasons that they might prefer to be entirely independent, but you have to decide what your priorities are, do you want to sell more books or do you want to be in splendid isolation in your little corner of the internet with your tiny bit of trade, I think most people will opt for the former. David: Yeah, and I think the killer part of this question is the last bit which is if she’d have to register a business in every country. Nowadays you have to pay tax, particularly in Europe, value added tax in the place in which you sell your books. So, if somebody ordered it from France, she has to pay French VAT, if she has somebody order it from Spain, say from Italy, from Germany, from the UK. They all have different tax rules and you have to comply with all of them. Amazon takes care of all of this. Debbie: Yeah, that in itself is reason enough to stick with Amazon. Debbie: We’re talking about other suppliers being available and of course IngramSpark is another greatly valued partner for indie authors, allowing us to publish in print and create e-books. 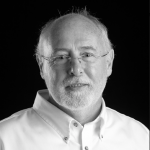 Bob Wilson said he is looking for the ideal partner to publish his books with and IngramSpark seems to be my ideal partner but their standards for accepting manuscript seem far too technical for me to meet, what are my alternatives? Well Bob, don’t let yourself be baffled and bamboozled by any technology on there because although some of the technical terms might seem rather extraordinary, but actually it’s pretty straightforward to publish something through IngramSpark. You just have to read the copious amount of information that they give you on the help sheets. There are also various books that you can read, we’ve got blog posts on the self-publishing advice blog about how to format books that will be perfectly acceptable as e-books or as paperbacks for Ingram using Word which is about as simple as entry level publishing as you can get. It’s also very easy to create, very easy once you know how, to create covers using simple free systems, you can even do it with word, but I wouldn’t recommend that. But you can use free systems like canva.com to create covers and you just have to get your head round that jargon really, it really isn’t that difficult. You can Google, you can always look up particularly difficult jargon to understand. At this stage in your career, I would just invest in learning a bit more so you feel more comfortable with that jargon. And homing in on Ingram Spark, because they are great and they are very helpful as well. If you get stuck with something you can message them or phone them and they will talk you through it. They understand that not everybody is born knowing all this jargon. They will help you learn it as well. So, don’t let that deter you. David: Yeah, I mean, if you find at the end of all of that that you are having problems and you cannot cope with it, then there are full service publishers that will give you the alternative. But then they will charge you, not insignificant sums to do all of that for you as well. Debbie: Yes, but the technology has been getting easier and easier and so, if you can manage a word processing program, if you know how to use a smartphone, if you can manage that level of technology, you can learn how to do these things yourself. And there are lots of resources out there to help you to learn that. So, right, keep going Bob, go for it. Right, onto the next question then. Q: Can a printer do specialist print techniques on small print runs? David: Ok, this one is sort of follows on a little bit, it’s from Dawn Reeves and she’s after a printer who could do spot UV color for short print run and who is happy to work with indie authors. I think the point I need to make there is that almost any printer is happy to work indie authors. They’re happy to work with whoever will pay them to come along and do a print run. She’s come up with a great cover design but she’d like a glossy finish on this spot UV color and wants to know whether that will be both possible and financially viable. She’s looking at a print run of about 500. And I think you’ve said Debbie, the printers, Clays, would probably, almost certainly be able to satisfy these requirements. Debbie: Yes, they are very good for doing special print runs. I happen to know that Dawn is in the UK and Clays is based in the UK and will do special print runs. The thing with using the indie’s favorites of Amazon, CreateSpace, Ingram Spark and Lightning Source is that they focus on standard formats and printing and they don’t cater so much for doing the little specialist jobs. The question of whether it’s going to be financially viable because we know that Clays would be able to do this for you as would other smaller book specialist companies. The question is whether it’s financially viable for 500 copies, that’s a reasonable entry level print run for conventional printing. But, it depends on how much you’re going to sell it for because you might end up with a book that looks fantastic, but if it’s going to cost you £10 more per copy than it would otherwise, unless you’re confident that readers will be willing to pay that £10 more per copy, then it isn’t financially viable. If you’re doing it for special occasion as sort of a special commemorative book for a 100th anniversary or something where you know that it will become a collector’s item and people might be prepared to pay a premium, then that is more the route to go down. But, be very wary of paying for spot color and other special tricks, gold embossing or anything for a standard market book. David: Yeah, I agree. You can get sometimes carried away with the minutia of a beautiful book and a beautiful appearance, but whether that is financially viable or not is another matter because even if she’s looking at a short print run of about 500, 500 books is an awful lot of books to distribute and get rid of and get paid for it. So, you’re taking a big risk even if you can get those books for £3 at a time, and it would probably be more than that. You’re looking at £1500 investment before you make any money back. Debbie: That’s true, yes, upfront investment, it’s a bit like designing a model of a car. You could have a car with leather seats and a champagne fridge and all the rest of it and yes, that would be lovely, wouldn’t we all like a car like that but there aren’t many people that are going to buy one like that. You have to look at what your market will take. David: I think I’d recommended that she goes with a standard cover, because she has the cover but it will not have the spot UV color on it. And then it goes through maybe CreateSpace or Ingram Spark and obviously e-book as well and see what the market for that book is and if she makes reasonable sales then it may well be worth her time to go and look at having a print run done in that case and have it done as she wants it to be done. But to start out with something a bit easier to get into and to test the market to see if it’s there for the book. Debbie: Yeah, and actually you could get a couple of proofs done via Ingram Spark and CreateSpace and get them back and you might say, actually, those look alright, I don’t need that extra design. If it’s a fantastic design then she may not guild the lily, that might be plenty. David: I remember I was talking to a trade author in Paragon Crime Festival and he said, “you know you’ve made it when they give you an embossed cover”. Those were the days. David: Ok, so, we have a question from Amor Prefeshki, I think that’s how you pronounce it. He’s looking for a publisher with integrity to publish my book. One option he has come across is a company called BookLocker and he would like to know what their reputation is like. This is a question that really we ought to bounce on to John Dock because he will have the information at this finger tips but, before we came on air I looked up BookLocker and I would probably say they are not the best option to go for possibly, simply because looking at their pricing structure they seem quite expensive. They will charge you something like $900 just to format your book. So, the set up fees are $875 and it takes them a month to do it. Or if you want it expedited it’s $1199 and then everything else is an add-on, a hard cover is an add-on, interior formatting comes with it, so, contracts are non-exclusive and they only give you 35% of the cover price. Debbie: There are so many variables aren’t there, to look at David. There’s so much small print. And this is why we have a wonderful book as part of the ALLi self-publishing success guidebooks called Choosing A Self-Publishing Service which not only lists in the second half various services and gives them a rating, but in the first half it takes you through the whole process of looking at what all these variables are, what all the different bits and pieces that somebody who is new to self-publishing might not realize how many different details there are to consider. The book has been completely overhauled and a new edition will be coming out little bit later this autumn in paperback and e-book. It’s free to members of the Alliance of Independent Authors, who will be able to download their free copy but you will also be able to buy a paperback and the book will be for sale through the usual channels and that will be a little bit later this autumn. So, watch this space and make sure you pick up that copy. It’s a good book to give you advice, not only on specific companies, but on the whole process because it equips you to make an informed decision and to make your own choices rather than relying on what somebody else says. One of many that we have that will help you to self-publishing success. David: I think it’s a decision that the individual writer takes, how valuable is their time, do they want to spend their time writing or do they want to spend time formatting and some people are just not comfortable with the technology side of things. In that case, it’s perfectly justifiable to go and use a third party to produce your books for you, but bear in mind that if you do that you are giving up some level of control. We have a friend that did exactly that and is now trying to get her rights back so that she can re-publish her books in the way that she wants them to be. Debbie: Yeah, these publishing services, there’s an awful lot of sharks out there, but there are also those very, very good companies and we have a number who are partner members of ALLi which shows that they are tried and tested and trusted. And if you are cash-rich but time-poor then that’s another reason to you, you know, if you can manage all the technology but you just don’t have the time then go with one of those. But also what some people do is cut their self-publishing teeth with one of those services. Then, as they learn more and more they can progress to doing more themselves and that’s valid too. The best companies who provide those services will understand that and they will feel quite proud that they have raised these authors who can then go off and become independent as well. Debbie: So, right, onto questions of distribution then I think David. Deborah Bluestein who writes as Dora Bloom has a question about Amazon distribution in different territories. She has a new novel out with Ingram Spark with print on demand for worldwide distribution but apparently it’s not showing up in China. I don’t know whether Deborah’s got her spies out in China to check that it’s not showing in China and, although it’s showing up in a couple of other Amazon territories, it’s saying it’s not available for order. I think there are two different issues there. She’s says would it be best to print in parallel with CreateSpace, make it more available? And absolutely yes, ALLi’s party line on that, and we’ve got several blog posts on this. If you look it up on our blog the advice is that you should publish your print books, both through IngramSpark and with CreateSpace because that will get you the widest distribution. Ingram Spark will make it available for all book shops and libraries to order it, whereas CreateSpace will make it universally available through Amazon’s website. If you publish only through Ingram Spark you will often have messages up on your Amazon page saying, “books out of stock, waiting for more stock”. Often with quite long lead times, maybe in two to four weeks, in fact if you order it and it will come in a couple of days. But if you have it set up on both Amazon, on both CreateSpace and Ingram Spark you don’t get those out of stock messages so you don’t lose the customers who might be deterred by that waiting time. China’s a different kettle of fish, we’re not quite sure to what extent things are suppressed in China, I believe they don’t have Amazon in China and I’m not sure that publishing with both would fix it in China. If anybody knows, who has insights into China, let us know. David: I’m just checking out here, Amazon does have a Chinese store, but it has only 0.05% of the market and it’s Chinese book websites that have all of the trade. Debbie: China is a tempting market because of its size, but I think very, very difficult to get into and I think anybody with a new book out, rather than fret over China and getting into China, would do better to concentrate on promoting their book anywhere else really. David: If you’re writing in English, your two big markets are the US and the UK and you need to concentrate on those two before you start worrying about everywhere else in the world. Australia is a good market for English language books, Canada is. I sell worldwide but I sell 99% of my sales in the US or the UK with a smattering from Australia and Canada. I’ve got sales in India, Italy, Spain,,France, Germany, Portugal and in South America, Brazil, but they are negligible, it might be one sale a month there in comparison to much higher sales elsewhere. Debbie: Germany is the third biggest market for English language which is interesting, they’re very keen on learning the English language over there. Debbie: Moving onto Natalie Roman’s question, which again is one that comes up occasionally and we always give the same answer. How can I make sure that I’m seen as the publishing company with a catalogue of books on a par with traditional publishers like Penguin and not to be pushed aside as a self-publishing author by distribution companies? I think we’ve all a little way to go before we get to Penguin’s level. But the answer there really is to set up your own imprint I believe, oh well, first of all is to do everything as professionally as a traditional publishing company would do it. So, your book should look 100% professional, it should be brilliantly written, beautifully presented, perfectly edited, immaculately marketed and there we are, you matched Penguin. You’re obviously never going to have the same size or scale of the operation as a big publishing company but those are the high professional standards that you should aspire to. If you want to come across as being a publishing company, then it’s pretty important that you use an imprint rather than have your own ISBNs so that your imprint, that’s the name of your publishing company which could just be you publishing your own books or you might be publishing books for others as well, but it’s most likely to be just for you. So, you can set up your own imprint by giving your books a publishing name so, for example mine, I’m Hawkesbury Press. I’ve got my little Hawkesbury Press logo there and on the spine, but Hawkesbury Press is basically me trading as Hawkesbury Press. I’ve published a few other books for friends as well but basically that’s me. My books will be listed as being published by Hawkesbury Press. Now, anyone who knows me knows that that’s also the name of the village where I live, there are no prizes for guessing that actually, it’s just me. But it does give you that professional image and also because the books are well written, ha ha, beautifully presented and so forth, with professional covers. They look professional and, in fact, I happened to be in an Athol shop some time ago and books came up in conversation, I showed a very nice Athol man a copy of my book, he picked it up and said, “Who’s it published by? Hawkesbury Press, oh, I know them, very good books”. So, I just smiled sweetly knowing it was only me and he hadn’t really heard of Hawkesbury Press. It just gives that feeling, that little professional touch. It’s not being dishonest, perfectly ethical to do it, we’re not breaking any ethical author codes or anything, it just looks a bit better than having published by Amazon on there or Debbie Young books which just sounds a bit naff. And so, personally, that’s what I like to do, it’s not for everyone, the other side of the coin is people will say, “No, I’m proud of being independent, I want people to know it’s published by me, so, it’s going to be Debbie Young books”. David: I know Natalie and I think she does have her own imprint, but the interesting bit here, is at the end, it says, “What would make me sound organized, well presented and legitimate”. And the answer to that is to be organized, well presented and legitimate. You won’t make yourself sound like it other than being it. It also raises the question of why Natalie thinks that she wants to be taken on a par with people like Penguin and it’s probably because she’s having problems getting her books distributed to book shops and libraries etc. At the moment it’s not a level playing field for indies, it is very difficult, other than going around and taking your books to book shops on a one by one basis to get national or global distribution of your print books. It’s really tough. Debbie: I would say also part of presenting yourself as a professional, behaving like a professional is to make sure that you behave as those big traditional companies operating with book shops and so forth. We hear of far too many authors who don’t understand how traditional publishers operate in dealing with book shops. A book that is worth reading, which is another one of our ALLi Self-Publishing Success Guidebooks is our Opening Up To Indie Authors book. There’s a little bit there on dealing with book shops, libraries, and with festival organizers and all that sort of thing. Reading these books will give you insight into how the business operates so you can emulate the standards. But you’re absolutely right yeah, that’s what we need to do. David: It’s almost impossible to set yourself up because when you think Penguin has a huge number, hundreds, maybe even thousands of sales people whose job is to go round and visit book shops on a once a month basis and say look, “These are the new titles we’ve got coming out”. If you’re an indie, you can say that once a year, “Oh, look, here’s a new title coming out”. But you haven’t got a whole bunch of authors that you can give a bookshop, half a dozen books for October and say these are going to be great sellers come Christmas. Like I said, it’s a really difficult thing and at the moment it’s almost impossible because you are just one person and you do just have one set of books, and even if you’re written 30 books which a lot of people who are indies have, 30 books is, Penguin are probably bringing 30 books a day out, never mind one. So, it is very difficult. Debbie: Yes, another supplementary question that Natalie’s put there is in her communication with the distribution companies that she’s aiming at, is she allowed to include that she’s a member of ALLi in her communication? Well, as much as we think everybody should be proud of that ALLi membership and I hope you’re all putting your little badge on your blogs to say you’re a proud author member and all that sort of thing. Actually, if you’re dealing with a distribution company or a book shop, most of them aren’t going to know who ALLi is and it’s not meaningful to them. An Alliance of Independent Authors, is not an organization that is a distribution company or it’s not going to add value to them. We know that it’s adding value to you as an author because it’s empowering you and equipping you and giving you lots of discounts and deals and so forth. But if you go into a bookshop and say, “Look, you ought to stock me because I’m a member of the Alliance of Independent Authors”, you will get met with a blank stare. David: Yeah, so, it is difficult so to speak. Should Self-Published Authors Create Their Own Publishing Imprints? Debbie: Moving on swiftly to some other business matters. Very interesting question from Laura Provost asking about working with illustrators and she says, “What’s the industry standard for rights and royalties, should I expect to pay the illustrator royalties on every book sold or should I only pay royalties on things like merchandise if the book does well”? Well, the illustrator really is as important to the book as the writer is and, as a writer, if somebody was giving you a publishing contract, you would expect to be paid royalties on every book wouldn’t you? The illustrator should expect the same. Far too often illustrators are not given the credit they deserve. Sadly, I’ve seen indie published books where the illustrator’s name has been left off altogether. You want to build up, if you value your illustrator you want to cherish a long term relationship with him or her, so, treat them well, treat them right, be fair to them. If there’s a large pictorial element in your books, they are more important than you perhaps realize. David: Yeah, I’m assuming that Laura hasn’t paid any upfront costs to the illustrator. So, the illustrator has done the work in exchange for some future payment in which case yes, you would expect to pay royalties on every book sold. But what you might want to consider, she asks later on about some key points and must have in writing terms to make note of. I’m thinking about translation because I’m going through Babelcube at the moment to have one of my books translated into Spanish and their terms are that for the first $2000 of income, the translator gets 70% of the royalties and then, as it goes up, it drops down until after about $8000 in income, all the money comes to the author and the translator to be issued to be paid in full. So, what you’re doing by not paying somebody up front is that you are agreeing to pay them monies in order for them to recoup their costs. If you want a good illustrator then that illustrator has to be paid the standard rate for that work and if you’re trying not to pay them that, then I think you’re going to have great trouble, you might be able to get an illustrator to do your first book but you’ll have huge problems to try and get them to do the next one on that basis. Debbie: Yes, yes, ultimately it’s down to you to negotiate the individual terms and it’s a two way discussion. It’s not for you to call the shots and don’t be surprised if an illustrator walks away if you say, “Oh, no, I’m going to pay you X, that’s it, no royalties”. Don’t expect to get on well with the illustrator. Slightly tangential question which should probably be our last question do you think Dave? Debbie: Jen Froya says, “I’m attempting to set up a foreign rights deal in the Middle East with a publishing company that has approached me from there. They have asked me to provide a contract, where can I get a contract from without spending lots of money, would you caution me in anyway about self-negotiating such a deal”? David: I think you would caution anybody about self-negotiating a deal. I know that Orna Ross and other people are having sample contracts drawn up at the moment which are not quite complete but they should be within a month or two or maybe towards the end of this year. So, you can have a template contract that you can download and perhaps there will be one on this. My slight concern about this is that somebody, some publishing company in the Middle East has contacted him. It’s dubious if somebody contacts you saying we have a great deal. I don’t know Jen and I don’t know his books, but if you are not selling in the top 10,000 on Amazon, why would somebody in a foreign country approach you because they will only want to approach people who have a proven success record really. Otherwise they are probably going to want to charge you money to do something, that’s the only thing I would check really carefully. Apart from which, if a publishing company has approached you they should provide you with a contract. Not expect you to provide them with a contract. That’s the standard way of working. Debbie: The same kind of questions should be asked as if a publishing company in your own country who’d approached you offering a deal, you would have to be asking yourself, “Well, what can they do for me that I can’t do for myself. What are they going to bring to the game, what setup record, are they expecting me to put any money into it, what do I get out of it, what are they demanding from me, what kind of rights are they, rights for one year, two years, five years or perpetuity”. You need to be really, really careful and look at what they’re asking you do, sign away and what you are likely to get. You can ask for testimonials from other authors that have worked with, do lots and lots of research. But again we have a book for all occasions. We have a book on how to sell rights in our Successful Self-Publishing series, called How Authors Sell Publishing Rights. It’s co-written by Orna Ross and American lawyer and self-publishing law expert, Helen Sedwick. That’s also well worth reading to give you a general overview on how these things work and to give you a little bit more confidence about dealing with this as well. I think we’ve managed to cover quite a lot of questions across quite a broad range. Debbie: So, thank you to everybody who sent in their questions, sorry to the people whose questions we didn’t quite manage to squeeze in. We may be able to get to those next time, depending on how many we have coming in by then. Enjoy this podcast, wait till you get to the Indie Author Fringe in a couple of weeks’ time which is this in spades, isn’t it David? Do you want to speak a little bit about it? David: We’ve got some amazing people coming to this Fringe, probably the most impressive ones to me are Kristine Kathryn Rusch and Dean Wesley Smith. Kristine Kathryn Rusch, she used to be, for about ten years, the editor of The Magazine of Fantasy & Science Fiction. I am just totally and utterly in awe of her because I had one story in 1974 published in an American magazine and I never got anywhere near her fantasy and science fiction so, I’m really, really looking forward to that session. Apart from that we’ve got loads of people and issues. This Indie Fringe is geared towards rights, marketing and professionalism of being an indie author. It will answer a lot of the questions that we’ve spoken about here. There’s 24 hours of great content coming up, starting at 10 am European time, 9 am UK time. The agenda will be going up this weekend, so, you can log onto selfpublishing.org website and see the cornucopia of pleasures that we have awaiting you. Debbie: And that will all be free, wherever you are in the world, you can come and join the fun. Dave and I will be speaking there amidst all the other many, many voices and we’re looking forward to taking part. Thank you very much for joining us, thank you for listening. Do send in your questions for next time and David and I will look forward to answering your questions then. David: Great, yeah. So, have a good month and see you next time. Our next Self-Publishing Q&A is on October 3rd. ALLi’s Technical Manager David Penny is the author of the best-selling Thomas Berrington historical mystery series set in the final years of Moorish Spain, and before returning to writing full time he worked in education, printing and publishing, and for 25 years ran his own software company. 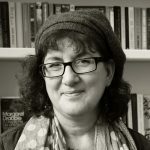 ALLi’s Publications Manger Debbie Young enjoys sharing best practice with our members around the world, as well as running two local authors’ groups and the Hawkesbury Upton Lit Fest on her home turf. Small wonder, then, that her cosy mystery series, the Sophie Sayers Village Mysteries, is set in a small English village populated with authors and booksellers.